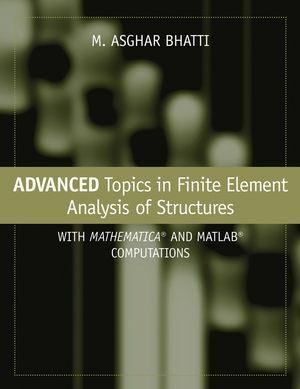 Starting from governing differential equations, a unique and consistently weighted residual approach is used to present advanced topics in finite element analysis of structures, such as mixed and hybrid formulations, material and geometric nonlinearities, and contact problems. 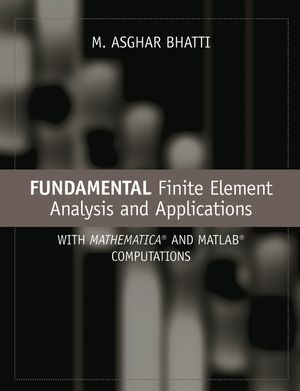 This book features a hands-on approach to understanding advanced concepts of the finite element method (FEM) through integrated Mathematica and MATLAB® exercises. M. Asghar Bhatti, Phd, is Associate Professor in the Department of Civil and Environmental Engineering at The University of Iowa, Iowa City. * Companion website includes all FE procedures as interactive Mathematica and Matlab workbooks to aid in the student's understanding of the analysis presented. * Support website includes additional exercises and problems and an Instructor's Manual. * Includes introductory chapter on essential FEA concepts as a refresher.